Mac OS X turns 10 today and after seeing the above image on Twitter I got to thinking that this may be the last we see of the traditional Mac OS X installer disc. With better methods of installation in place, what’s the point of Apple printing more DVD’s, better known as plastic coasters? I wouldn’t be surprised if future versions of Mac OS, starting with Mac OS X 10.7 Lion, come exclusively in two installation methods: digital distribution through the Mac App Store like when you install the Lion Dev Preview, and a USB key like what comes with the new MacBook Air. Having installed Lion along with Snow Leopard, I’ve used both the Mac App Store and the MacBook Air USB Keys to install Mac OS X. Guess what? Not only is it easier than using a DVD, but it’s faster. I did a fresh reinstall of Snow Leopard on my Air using the included USB key and the entire process from start to finish took maybe 20 minutes, how can you beat that speed? It’s faster to use, not as fragile, and totally bootable. Why wouldn’t you want to use that as an installation method? The benefits of ditching the CD/DVD installer outweigh whatever cons that I can’t even think of. People have been predicting the demise of the CD for a while now, and Apple has been eliminating box software software in their stores in favor of the Mac App Store. I think it’s finally here, the disc is dead, at least as a way to install software and system updates. RIP CD’s, you’ve been fun. PS: You still make great drink coasters. Mac OS X Lion to be available on DVD? Totally agree. I can’t remember the last time I used my disk drive, they’re antiquated. Don’t forget that the storage capacity of a DVD is significantly less than a USB stick or the unlimited capacity of a download. 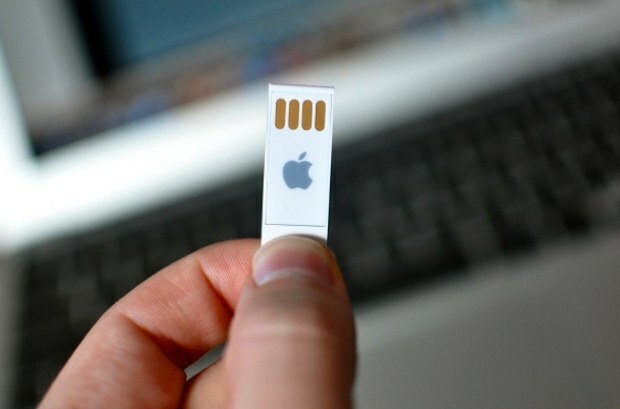 Time is ripe to move on, and Apple will be the first to do the deed. I have never had a good experience with any disc drive ever. Burn a CD oh it’s messed up another wasted disk. Have to re-install my OS oh look a scratch. I say good riddance to this technology!! I cant see it myself to be honest at the moment. Downloading an entire operating system (7.4GB) is going to take hours on a standard internet connection. Not being blessed with Cable in the UK, Lion took over 5 hours to download, and that was only around 3.4GB. Its a great idea, dont get me wrong, but the networks just aren’t upto it right now. USB sticks are great, bigger then DVD’s, and quicker, but easier to lose, and probably more to make as well. Great idea also though, and you never know, maybe Apple will be the ones to start the revolution. I’m not so sure about the Mac App store either. I’ve had to reinstall/reformat my Snow Leopard system on my MacBook more times than I can remember (due to a faulty hard drive; I’ve now replaced the drive so maybe reinstallation is behind me). The App Store is useless if you don’t have a functional OS to access online resources. I’m going to want some sort of media in my possession for the next OSX as well. Absolutely! How do you use the recovery / safe mode from the web? 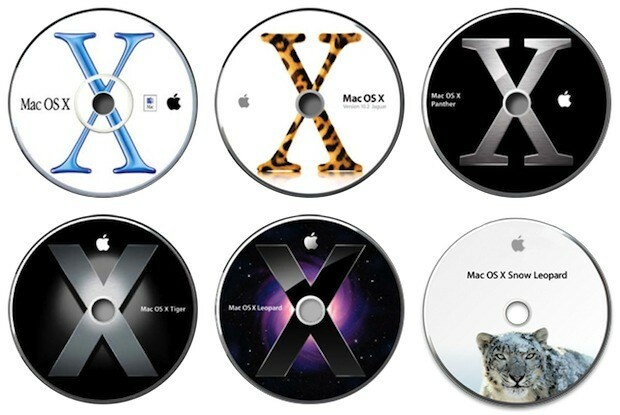 I am not expecting to see the total demise of DVD’s- since many Mac users (like myself) still use PowerPC machines that don’t support Snow Leopard. However, I wouldn’t ming seeing the USB drive as an potion alongside DVDs for a little bit. And I agree with MacMike’s statement as well- How am I supposed to install the OS on my MacBook Pro from the Mac App Store if I have to replace the hard drive in it? Call me old fashioned, but this whole move to a “cloud-based” store is fraught with more trouble than it’s really worth. Out of the two proposed situations, I think the USB key is the perfect solution for replacing CD’s/DVDs for any installation protocol- for Apple, Adobe, etc. I meant ‘option’, not ‘potion’. fail by apple, they completely forgot people not using snow leopard (SP1). they are not going to buy an op system to upgrade to another op system that doesnt even make logical sense!